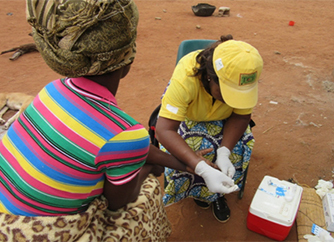 Humana is organizing a forum for debate under the title 'Bringing Health Services to Hard-To-Reach migrant mining populations in Southern Africa through multi-stakeholder partnerships' in Brussels on 7 June. The appointment is at 9:30, in the Tour and Taxis, Room D7. The European Development Days are the most important development cooperation event on the old continent, organized by the European Commission since 2006. As usual, a Humana Fundación Pueblo para Pueblo team will be present at the event, representing Humana People to People. 'Investing in Development - Investing in Development' is the main theme of the 2017 edition of this forum which aims to promote a new strategy to address the most pressing current challenges of global development. Olga Guerrero. TIMS Program Manager Unit from Humana People to People. Sameer Sah. International Program Director of TB Alert. Poonam Dhavan. IOM Global Coordinator for Migration Health Assistance. Will act as moderator. Tuberculosis remains one of the 10 leading causes of death worldwide and the leading cause among people with HIV, underscoring the need for coordinated efforts among stakeholders to increase detection, diagnosis And access to treatment. Currently, ADPP, the local Humana partner in Mozambique, coordinates a pilot mine action program among mine workers in eight countries: Zambia, Malawi, Botswana, Swaziland, Namibia, Mozambique, Lesotho and Tanzania. ADPP coordinates the work of five other Humana People to People organizations and three other nongovernmental entities for the active search for tuberculosis cases in the region's mining populations. TB Alert will provide technical support throughout the program. This pilot program builds on Humana's accumulated experience in the combined struggle against HIV / AIDS and tuberculosis through its TB-TC and Total Control of the Epidemic (TCE) projects. This is the first program of its kind that is implemented at the regional level. The model is based on prevention and dissemination of information among community members, working from house to house to increase awareness of the population, as well as facilitating tuberculosis detection and HIV testing. It also aims to facilitate treatment in health centers and support throughout treatment periods. 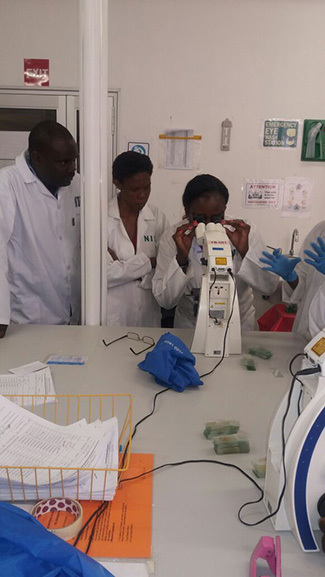 The program also aims to address the growing number of cases of co-infection among the mining population. On the other hand, Humana will have a stand in the so-called EDD Global Village, in which the protagonist will be the project 'Renewable energy for rural development', which we carried out with the help of our local partner ADPP in Oio, Guinea-Bissau. The booth, number 36, has been selected from the hundreds presented by so many third sector organizations, which gives an idea of ? ?the importance of being present in the EDD Global Village. This is an excellent opportunity to promote networking and exchange of experiences.